Are you getting married? 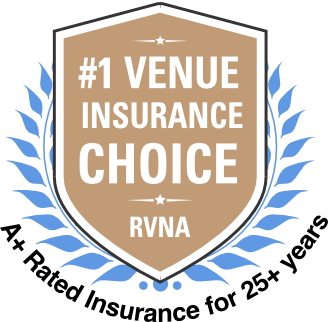 RVNA also offers Wedsure Wedding Insurance. RVNA’s Wedsure wedding insurance is simply the best. Happily Ever After Begins with Wedsure. Why? WONDERING WHAT COVERAGE YOU NEED FOR YOUR WEDDING? Just ask. Call us at 1-800-364-2433 or visit Wedsure.com for more information. Like Event Insurance in Minutes, Wedding Insurance is also offered by R.V. Nuccio & Associates, Inc., providing insurance for special events for over 25 years. The coverage we offer is preferred and often recommended by venues nationwide. Three days before my wedding I found out I needed last minute insurance coverage for the event! [RVNA] was INCREDIBLE to work with. [They] explained everything and helped me get the coverage I needed within the same day! I highly recommend them for their fast service and great customer service.